In the middle of these sunny summer months it might be hard to think of Christmas. But in the world of retail ecommerce, planning ahead can be the difference between success and failure. That’s why considering your options for the final quarter of the year now can stand you in good stead when the time comes. By examining what the major trends in the Q4 of 2017 looked like from an ecommerce point of view, there’s an opportunity to adapt your approach for the better this time around. So put down that piña colada for a minute and take a look at what may be worth considering in the run up to Christmas to help your ecommerce firm thrive. You never know – you might be able to enjoy an even better holiday next year because of this article! Hitwise recently held a webinar looking at some of the key observations and trends around retail from the final quarter of 2017. Things noticed included a slump in like-for-like sales in October, more conversions in December, and a rise in sales both online and in stores in the week leading up to Christmas. There was also a noted surge in the rise of last minute shoppers. For example, the search term ‘e-voucher’ saw a phenomenal 215% rise in the week before Christmas. Companies such as Amazon, Voucher Cloud, eGift Cards, Voucher Express and Argos all saw significant gains thanks to this trend. Might your company be able to offer something similar if it doesn’t already? Amazon also saw success by releasing dedicated Christmas items in the run up to the big day. Is there a chance for you to launch a new special product or promotion? If this isn’t something you’ve tried or considered before, you could well stand to benefit. The other major retail event in Q4 is Cyber Monday, which is followed by Cyber Week. This saw a high number of site visitors for many companies, but conversions were harder to come by. If your company is seeing this trend and finding it frustrating, consider how you can optimise your conversion rates. Statistics show that industries such as house and garden, health and beauty, sports and groceries are all on the up at present. 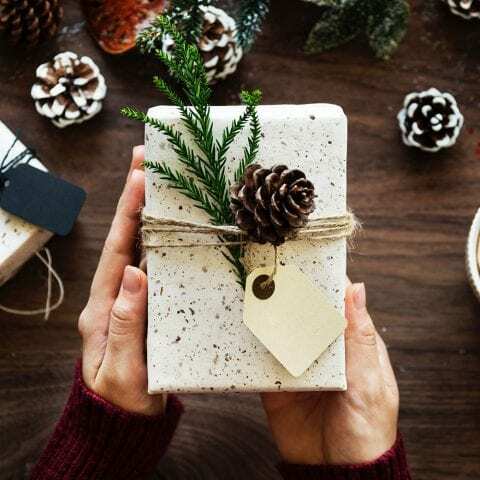 If you sell products that fall into these categories, or other categories that are doing well, consider pushing these and promoting them more actively – particularly in the run up to Christmas when shoppers are on the lookout for great gift options. Some companies are being quite dynamic and turning their online retail fortunes around through innovation. For example, Matalan has seen major growth by investing in its online platforms. Companies like Pretty Little Thing and Gymshark have used social media to achieve growth, while HelloFresh is an example of a company using an innovative business model to create positive change in their company. Standing still is not good in retail – you need to move as your customers do. So look to consider what innovations your company can make and what opportunities it can take. Factors such as Facebook’s algorithm change, GDPR and influencer marketing are all reshaping how the online retail industry works with regards to the customer-retailer relationship. These should all be considered in the context of your own business, and any necessary changes made accordingly. Some things are remaining as per the status quo however. The bulk of retail product purchase journeys still start on either Amazon or Google, so it’s vital to ensure your company and your products are appearing in the right places – particularly in the run up to a major event like Christmas. A PPC campaign can help. And, when a potential customer reaches your site, don’t put them off by having a site they don’t like or find easy to use. Adopting creative web designs can help you stand out from the crowd and enhance the user experience. Look into web design trends, and make sure that your ecommerce design is bringing customers in rather than turning them away. You may have some strong content on your site. Be sure to have a design that accommodates for this type of information and allows customers to learn more about your company and what it is you can provide them with. Hitwise advises that companies get granular in their approach to their online retail and customers. Prioritising segmentation and granularity can help bring about higher levels of insight into what customers want and when and how they want it – insights that can be hugely useful in the run up to Christmas for example. This can also be useful on days like Cyber Monday for example. If the bulk of your site visitors arrive on your site from 9am onwards, schedule your social plans and posts accordingly. Get tactical and specific, as the broad ‘hit and hope’ approach is less likely to land. Understanding performance on a category level might be the difference between shoppers looking for gifts in the build up to Christmas shopping with you, or frustratingly going with a competitor. Retailers know the importance of the year’s final quarter, but by trying something new and thinking outside the box, there’s a chance to really enhance your sales and your overall business. Be sure to form a strong digital strategy so when next year’s holiday comes around, you can reflect on a positive final quarter of 2018.